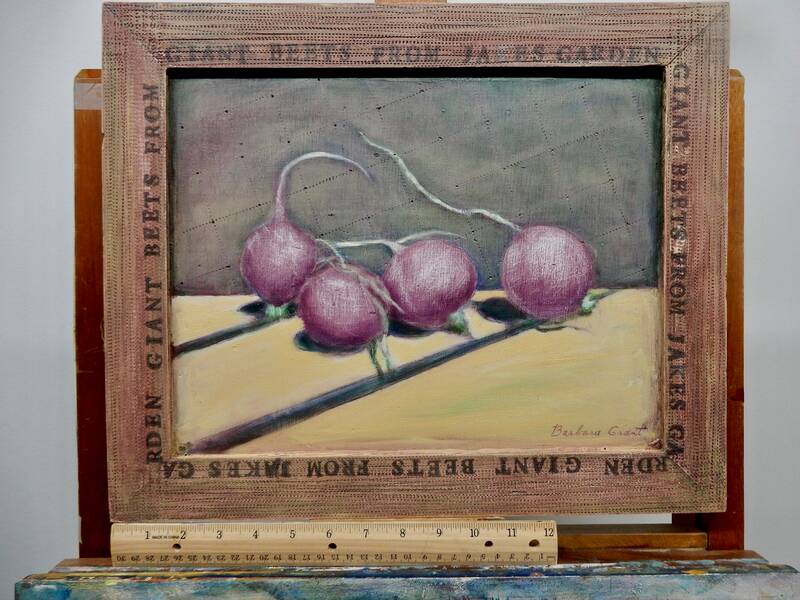 ✒︎ Tybo’s Tall Tales*: This image is of four radishes, that one of my nana's friends gave her. 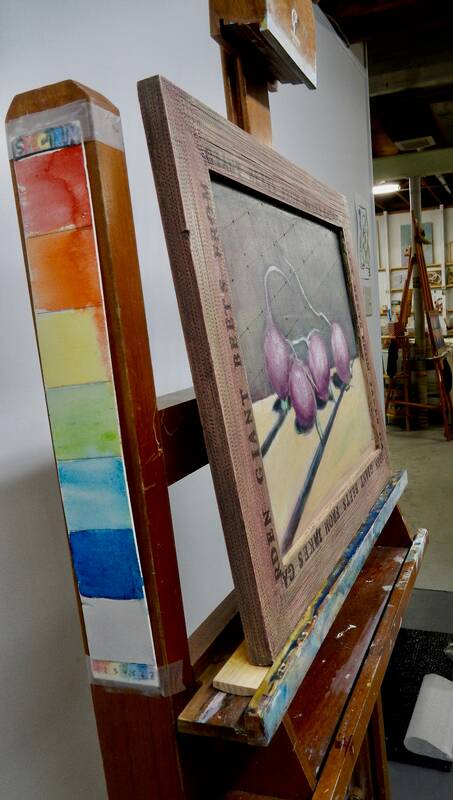 She thought that they looked a lot like beets because of their deep red/purple color. She was amazed at how large her friend's husband had grown these beets! 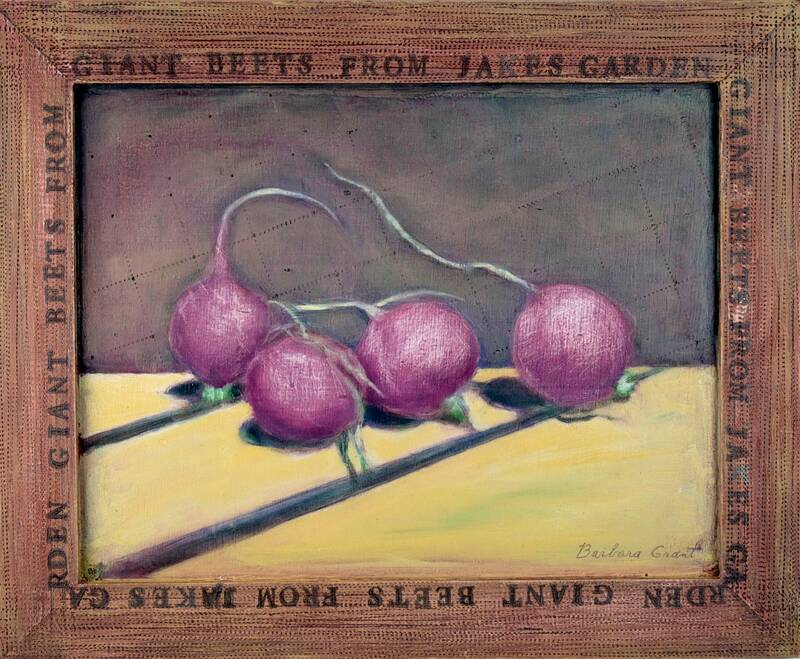 When she presented this painting at an exhibit with the title "Giant Beets from Jake's Garden" her friend who gifted them pulled her aside to talk to her privately. She whispered, "You know that those are radishes, right?" 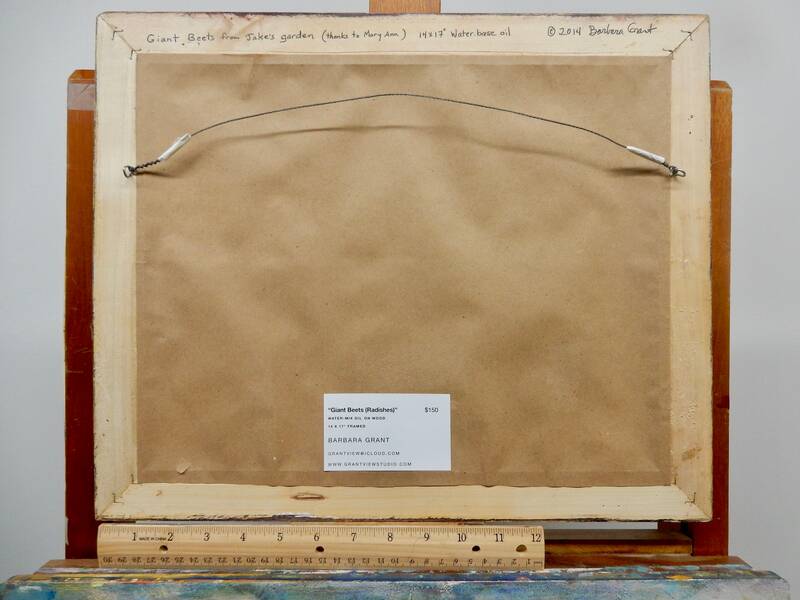 My nana was mortified to learn of her mistake in such a public way, but she laughed about it.